In each state, there is a set period of time in which you have to file a personal injury lawsuit, known as the statute of limitations. If an injured party fails to file their claim within that time frame, they lose their right to sue for damages in the case. To further complicate the matter, the deadline for personal injury lawsuits can vary based on the situation in which the accident occurs. If you have been in an accident and are considering filing a personal injury claim, it is important to understand certain factors about your time limits. These factors include discovery of harm, state-specific claim rules, and notice of claim. The first rule to keep in mind when it comes to personal injury lawsuits is the “discovery of harm” rule. The time period allowed by a statute of limitations generally begins the moment that the plaintiff knows they have sustained harm. This includes understanding the nature of the harm itself. In some circumstances, like in claims that pertain to medical malpractice, the injured party may not be aware that they have been injured for some time. If there is a delay in discovery of harm, it must be reasonable. For example, suppose a patient goes into surgery and a metal pin is accidentally left in their leg. The pin goes undiscovered for several years until the patient suffers a knee injury and requires an x-ray. Until the second injury, there was no reason for the patient to have any idea the surgeon had left a pin in their leg. In this case, the statute of limitations would begin the day the patient discovered the pin. Now, what if the patient noticed unusual symptoms like pain and numbness in the leg after the first surgery, but failed to seek treatment? In that case, the patient’s lawsuit may not be permissible based on time limits. It is important to remember that each state goes by their own specific time limits that a personal injury claim must be filed within. Depending on which state the accident takes place in, statute of limitations time frames can range from one to six years. Additionally, states frequently revise their laws concerning personal injury time limits and they are sometimes determined by what kind of claim is being filed. In some states, the age of the injured party can affect the statute of limitations as well. For example, if a minor is injured, the time limit may not begin until the child turns 18 years old. One exception in this area, as previously mentioned, is in cases of medical malpractice. Depending on the specifics of the situation, the amount of time you have to file a claim involving a minor could decrease. If the personal injury claim is being placed against a local, state, or federal government entity or employee, a “notice of claim” must be filed. In such cases, you are required by law to notify the government that you plan to file a personal injury claim within 60 days of the injury. This gives the government entity the opportunity to directly respond to the allegations being made. In these circumstances, the government either accepts or, most commonly, denies the claim. A civil lawsuit can be filed against the government entity only after the claim is denied. The notice of claim process can vary depending on what type of government entity is involved and the state in which it is filed. With so many variables, understanding the time-sensitivities in filing personal injury lawsuits can be overwhelming. The most important thing you can do is immediately contact a personal injury lawyer as soon as your injury is discovered. Your attorney can help you navigate the complex claims process and help you avoid the pitfalls of time limitations. 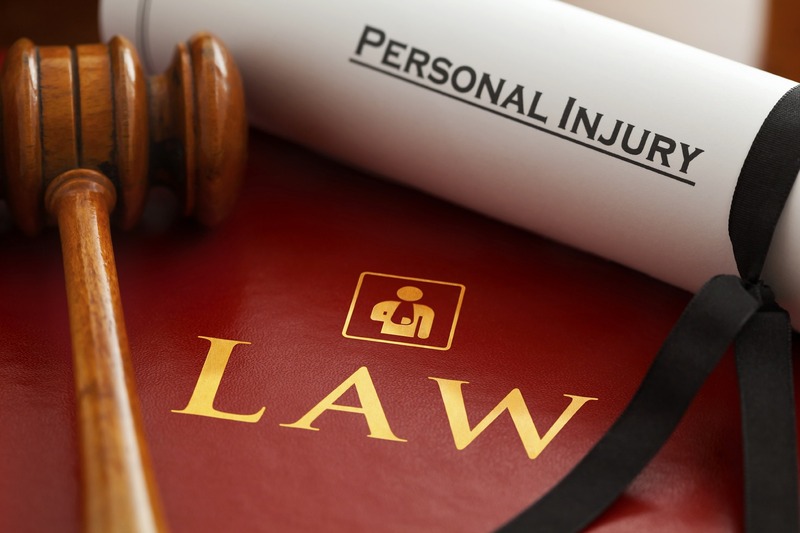 If you were injured and need to file a personal injury claim, contact Attorney Dean Boyd today. You can call us at (806) 242-3333 or Contact Us by email to learn more about our services. You can also visit our office at 4423 SW 45th Ave in Amarillo, Texas or 5012 50th St #103 in Lubbock, Texas for more information about how we can help you get the compensation you deserve.